alongside them in the discipleship process. Christine Diggs joined our staff in November 2016 as our District Kids Director. She has a bachelors degree in Elementary Education. Christine married her husband, Jonathan, in 2010. Together they have two young boys, Eli and Shepard. She previously worked in the Duval Country Public School system for 4 years. Christine is passionate about sharing the gospel with our next generation. The Lord brought her to salvation through the investment of teachers and church volunteers in her life. Our classroom teachers are all interviewed and background checked before working with your children on Sundays. 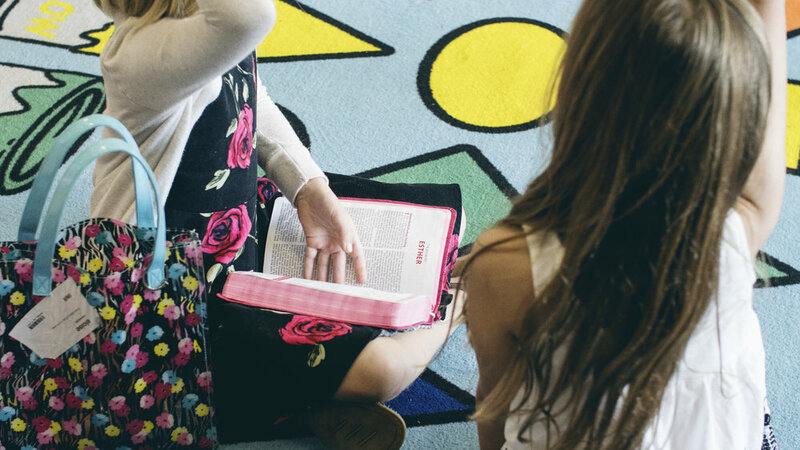 Throughout District Kids, we implement the Jesus Storybook Bible curriculum because we believe it helps unlock the meaning of the whole bible, which is Jesus. The gospel is shared each Sunday, giving our children a clear picture of their need for Jesus and His incredible love and sacrifice for them! We use crafts, videos, and music to engage our District Kids as they learn about Jesus.